financial services, we are expanding like never before. We currently have our presence in over 90 cities. 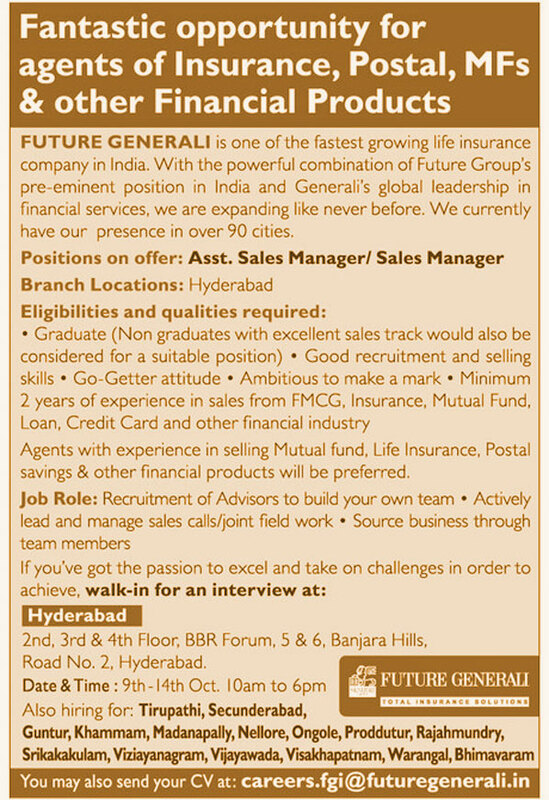 Agents with experience in selling Mutual fund, Life Insurance, Postal savings & other financial products will be preferred.